Description Of Item: The Blockbuster sequel is coming 2009. Transformers 2 - Revenge of the Fallen will be this summer blockbuster hit garenteed. 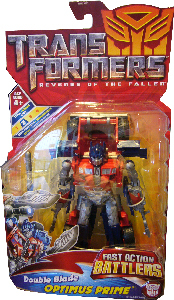 Get these all new Fast Action Battlers Transformers Autobot and Decepticons Action figures.